If you’re traveling to Rio de Janeiro in August for the Olympics, you might be looking for a few things to do aside from watching spectacular feats of athleticism. 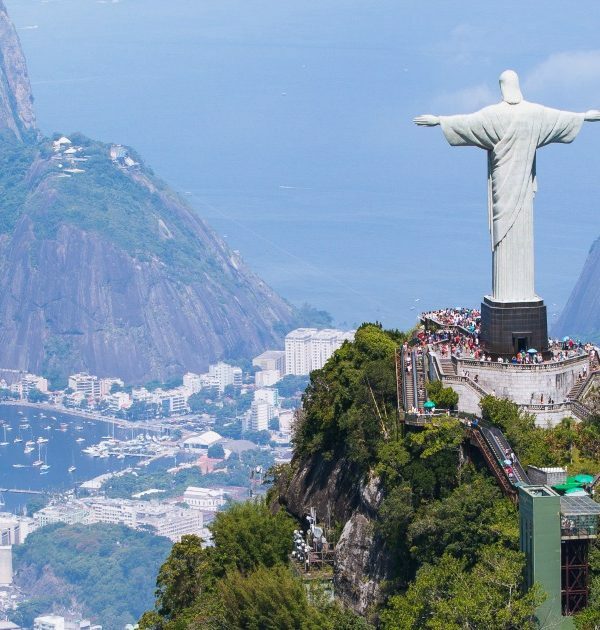 Visiting Rio needs an itinerary all on its own, and if your focus is on the summer games, you’ll want a quick list of things to see, places to stay, and things to experience while you are there. First thing’s first: You’ll need to know a few key phrases to ensure you’re not accidentally insulting any residents. Knowing how to say a few important words may make the difference between you making it back to your hotel, or halfway across the city. First: You’ve got to learn how to say “hello.” In Brazil, it’s a simple “Oi,” just as if you’re calling to get someone’s attention. Seems easy so far! If you’re still having trouble, download Google’s Translate App, download the Portuguese dictionary and you’ll be well on your way. Brazilian Portuguese is, mostly, just a dialect difference between Portugal Portuguese. “Conversation Mode” in the app will provide instant two-way instant speech translation. Escadaria Selaron, one of Rio’s most loved attractions, became an attraction when Chilean-born Jorge Selarón decided to cover the steps with colorful mosaics, making it “[his] tribute to the Brazilian people.” There are 215 steps which are covered in over 2000 tiles collected from over 60 countries around the world. It’s certainly a sight worth seeing, and provides a great photo op. Santa Teresa is a neighbor to Rio, and is located on top of the Santa Teresa hill, by the center of Rio, and is famous for its winding, narrow streets which are a favorite spot for artists and tourists. Once an upper-class borough, the fashionable hotspot is now home to artists, restaurants, live music and culture worth melting into. Climbing to the top of the hill will give you a magnificent view of the city. Be sure to take the streetcar, the last remaining line in the city. Plage de Copacabana is another place you need to visit before you fly home. With iconic drawings on the sidewalk, kiosks & bike paths, this scenic beach draws crowds. Great for surfing, swimming and relaxing, Copacabana is one of the most famous beaches in the world. The area will be one of the four “Olympic Zones” during the 2016 Summer Olympics, so it’s quite likely you’ll be nearby to check it out! The summer Olympics only come once every four years, and you can be sure that all eyes are on the events. In Rio, there will be 206 countries will be represented in 42 disciplines spread over 306 events in 37 different venues. The aim of the game is always the same: outperform your opponents. Some events are more popular than others, though, and if you can, try to catch one of these ones while you’re celebrating the best athletes in the world. When people think of the Olympics they think of athletics. High jump, long jump, triple jump, hurdles, relays, javelin – you name it, Rio’s got it. Some of the greatest athletes of all time, such as Usain Bolt, will strive to achieve extraordinary feats. All eyes will be on the 100m and 200m dash, true measures of human ability. The world will be watching the folks inside the athletics complex go higher, faster, and stronger in these 24 track, 16 field and 2 joint events beginning August 12th, continuing to the end of the games on the 21st. Watch the most traditional sport of the Olympics, played since the first edition in Ancient Greece in 776 BCE and an integral part of the modern games since Athens 1896, award 141 medals and see 47 Olympians earn the gold medal in Rio 2016. It is with almost certainty that a new legendary figure will emerge. Quite literally a breath-taking sport, swimming has been part of human history since the stone ages and the Olympics since 1896. Overflowing with world-class stars like most-decorated-athlete Michael Phelps and superstars Chad le Clos and Missy Franklin, swimmers will compete between August 6th and 13th in 32 events. The swimming events will be held in the heart of the games at Barra Olympic Park. Besides the individual events, there are also team and medley events to watch out for. Also keep an eye out for marathon swimming, a true bona-fide test of strength, strategy, and endurance, where athletes will swim 10km in an open-water circuit at Copacabana beach on August 15th and 16th. Ever since Mary Lou Retton landed a must-needed perfect 10 on the vault to win the gold medal for the USA back in the 80s, this event has been known to make everyone’s heart melt. You’ll reassess what the human body is capable of watching this sport. Combining strength, balance, flexibility and grace, gymnasts will push themselves to their physical limits, on six apparatus for men, and four for women in both team and individual events. Part of the games in Ancient Greece and the modern games since 1896, these gymnastics events will run August 6th to 16th, with medal events being held August 8th to 11th, and 14th – 16th. These events will also be held at Barra Olympic Park. Rio is famous for one important dish: a bean stew called feijoada. The best is served at Casa de Feijoada, a cozy and relaxed restaurant in a fashionable and quiet corner of Ipanema, at Rua Prudente de Morais, 10 Ipanema. For a taste of everyday food of the south, head to Porcao, a churrascaria (barbecue restaurant) often visited by the meat-loving residents of Rio. This is as typical as Brazilian eating gets. There are two restaurants to visit, both huge, lively, and busy with waiters serving grilled meat skewered on swords. Head to Rua Barão da Torre 218, and avenida Armando Lombardi 591, Barra da Tijuca for both locations. If you’re not a meat-eater, Rio still has options for you. Prana Vegetariano is a vegetarian-, vegan-, and gluten-free friendly restaurant offering options to travelers that typical Brazilian fare may not provide. Located at Rua Ererê 11 D, Praça São Judas Tadeu diners will find some of the best food in Rio, including a smoothie range for every palate. August in Rio is going to be busier than anyone could imagine and having a plan for places to do and things to see will make your trip seamless. Enjoy the games and your vacation, and you’ll return with memories everyone will want to hear about.